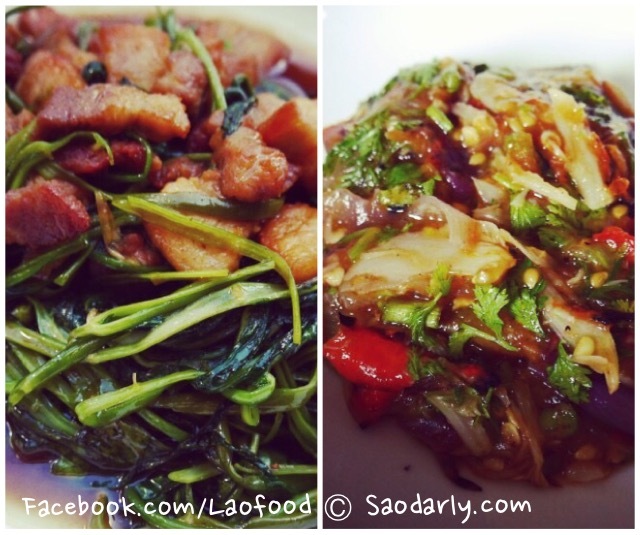 Stir-Fried Water Spinach or Water Morning Glory (Khua Phak Bong ຂົ້ວຜັກບົ້ງ) with pork belly bacon and Spicy Roasted Tomato Chutney (Jeow Mak Len ແຈ່ວໝາກເລັ່ນ) for dinner. 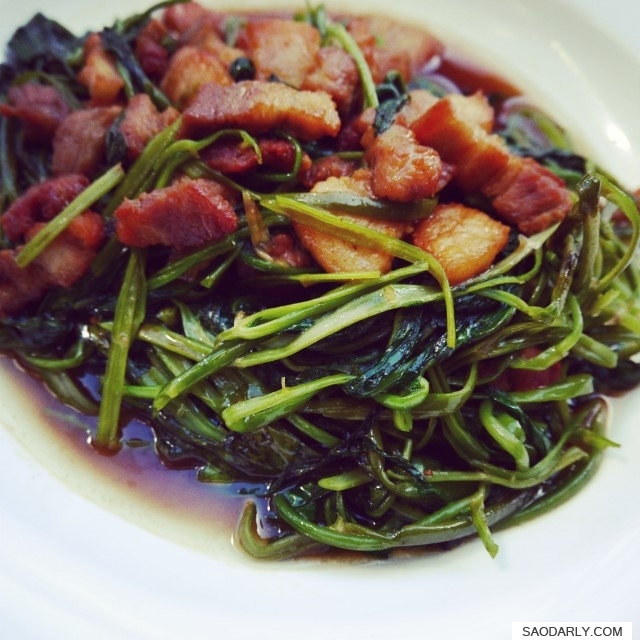 The stir-fried water spinach is a quick and simple dish to make, using salt, sugar, soy sauce, and fish sauce for seasonings. 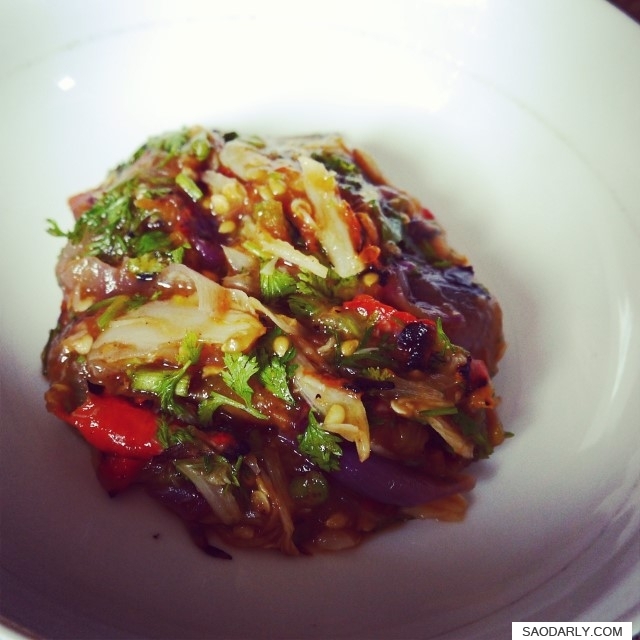 It’s delicious with freshly steamed sticky rice or steamed Jasmine rice.